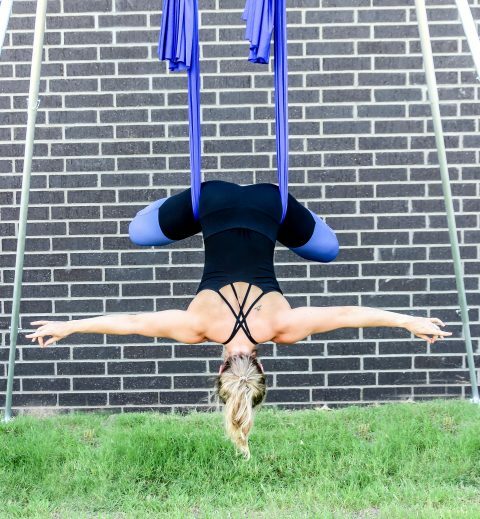 Aerial yoga uses a hammock or yoga swing to allow students to perform postures that they may have difficulty with on the yoga mat. It combines traditional yoga with moves inspired by pilates, dance, and acrobatics. Aerial Yoga offers a totally new perspective on strength building, stretching, relaxation, and growth - mentally and physically. It may seem awkward or difficult at first, but you are guaranteed to see improvement and results every single time you come - we promise! *Please reserve a spot as these classes can fill up. Thanks! This is a beginner/intermediate class that focuses on slow breathing, strength building, relaxing, and stretching. You can expect to get inverted (hang upside down) a few times, but you'll spend the majority of the class stretching and preparing for the week ahead.